Objective: An independent project lead by Eric Britton under the sponsorship of the Department of City Planning/Transportation of the City of Helsinki, the goal of this first phase was to initiate a broad-based public inquiry and open discussion of the concept of equity as a possible keystone for a new paradigm for transport policy and investment in Helsinki and beyond — and to determine if there is support for taking the first round of findings at least one step further. The Process : This first stage took place from February – May 2012 and centered on a first round of consultations and exchanges with something like two hundred people from a wide variety of institutions and points of view from across the Helsinki region. At the core of the program was a two-week mission during which meetings and events were scheduled to explain and test the concept: some 20 workshops, three collaboratively organized Master Classes and a final presentation and public discussion were the core of the project. In addition a number of international colleagues pitched in by following the project and exchanging views, criticism and suggestions as it developed. Finding: It is this author’s view that the project has succeeded in its first stage objectives as set by the organizers. Let me see if I can summarize in one sentence the position that we heard from the great majority of all of those with whom we discussed the concept in all those meetings and events: “The equity concept sounds interesting and possibly promising as a new base for transportation policy — and although we are not at this point quite sure we understand in detail how it is going to work in practical terms, we nonetheless agree that the concept is worth further attention”. Starting Point: We had a significant advantage. This emphasis on equity – a concept not so widely discussed in the context of public policy in most parts of the world — is something that is well known and widely accepted by people, political parties, and interest groups across Finland. In part this is a matter of culture (no small thing in itself). But no less important we had the good fortune to be able to draw on a solid base of world level achievement in the Finnish education sector, in which the equity principle has served as the North Star of the country’s educational reform and management over last decades. This equity-based approach had achieved world-level results placing Finland consistently at the top of the international list of student performance and preparation for life. 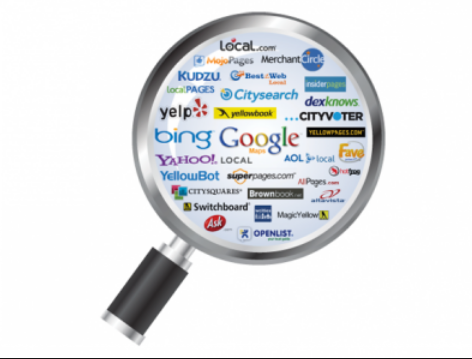 Peer review : This report summarizes the process and the principal findings of this first stage investigation. However, rather than submitting it as a definitive final report with detailed recommendations at this point, we decided first to put it to work as a base for a collaborative “thinking exercise”, sharing the present draft with as many as people and groups as possible in Helsinki, Finland and abroad for critical comments, suggestions and opinions. Dates – May/June: The report will be open for review and comment over this period subsequent to which the project team will meet to collect and analyze the results and prepare a definitive report, recommendations and program statement detailing eventual next steps. Please note, we are not seeking a comfortable consensus: at this point we are looking for critical ideas and content. Once we have received and dealt with these as best we can, it may then be time to think about getting comfortable. I am comfortable in making this statement since the present draft will be reviewed by a number of those who participated in the various events and so there will be every opportunity to correct that wording. And if ever there were a “muddled discussion” in the domain of public policy, just about everything we have heard and seen over the last decades under the heading of “sustainable development” and “sustainable transportation” has to be placed firmly in this category. Hopes, rhetoric and promises have run higher than high, while concrete achievements and realities have been tragically few and far between. We are grievously losing the war of sustainability on just about every front you can imagine. Something has to be very wrong, something fundamental, something structural and something which apparently is not getting the attention it requires. The draft that follows and the open collaborative process behind it were commissioned by the Department of City Planning/Transportation of the City of Helsinki. However the information, views and recommendations you will find here are the responsibility of the author alone. That is not to say that these are my original ideas: to the contrary my role in this project is more that of co-organizer and keen listener than author and certainly not authority. That said, I have to say here up front that anything you find that is foolish or wrong, almost certainly comes from your author. And anything that you find engaging and worth more thought, almost surely comes from someone else. Here and there you may get the impression that I am not sufficiently aware of all the good ideas, projects and progress advanced in your beautiful city up to now. I am afraid that is inevitable for a non-Finnish speaking visitor on his third trip here. But what I can say in my behalf is that I have come here not to be right and certainly not wise, but to see if I can do my bit to get a discussion going on a new approach that I truly believe can serve Helsinki and other cities very well indeed. And yes, the accomplishments of Helsinki in the mobility sector until now have been at a high level. With the goal being to do better yet. Which is where this report and process may come in handy. 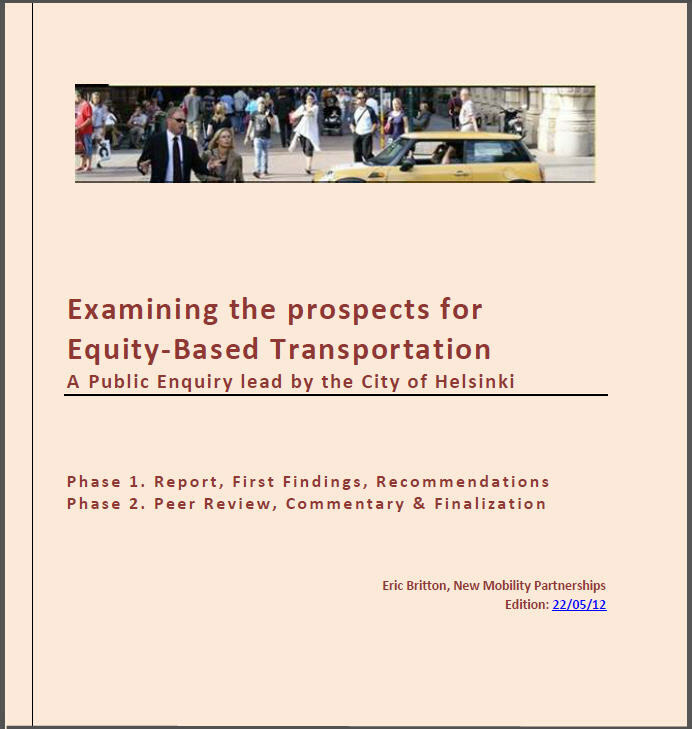 This entry was posted in *Equity Agenda, 2012, Finland and tagged * Sharing, *Equity Agenda, *Shared/Mobility, 2012, Dialogues, Finland, Paradigm, The Third Force. Bookmark the permalink.